This site generates income via partnerships with carefully selected travel brands and/ or purchases made through links to them. See why this is important. 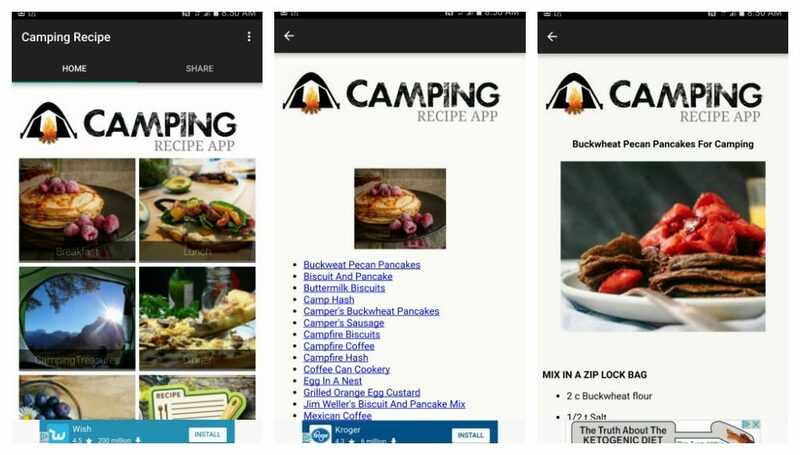 When it comes to camping apps, there are apps to help you plan and navigate as well as apps that offer ideas of things to do once you’ve set up camp. Some of the best camping apps help you plan things to do on the way to your campsite, share where to hike, or help to locate free camping on public lands. From keeping an eye on the weather, to watching the night sky to first aid, there’s an app to help even the most inexperienced camper have a successful camping experience. These are the camping apps we don’t travel without. This app provides checklists to ensure you never get stuck at a campground without your mattress pad, bug spray, or tent stakes. Available on Google Play. A similar product is available for Windows. From traditional trail mix and foil meals to Buckwheat Pecan Pancakes and Blackened Fish, you’ll find a variety of recipes that can be prepared in advance or at the campsite over a fire, on your camp stove, and in your Dutch oven. You can download this free app on Google Play. This app allows you to plan stops along your route by topic. Find roadside attractions, historical stops, or photo ops through this free app. Available on Google Play or iTunes. Purchase this app on Google Play or iTunes. 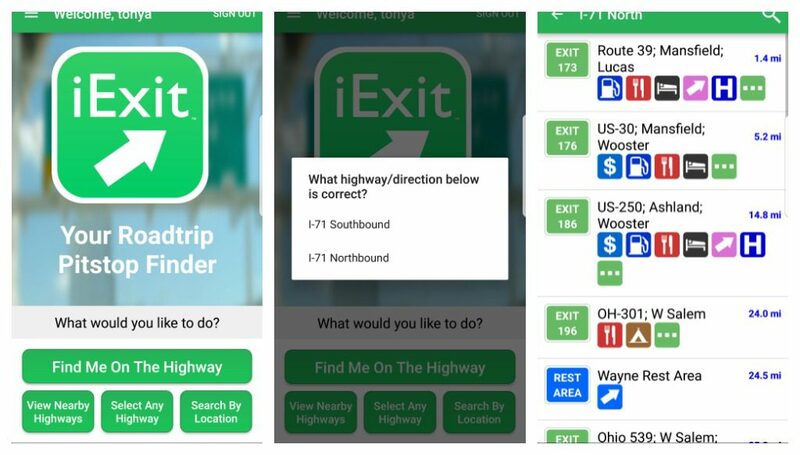 iExit allows you to scout out businesses like Walmart, KOA’s, truck stops, and Cracker Barrels at exits along the Interstate in real-time. You can also view upcoming exits. Gas Buddy not only tells you where to find gas stations, it also tells you where to find the best prices on fuel which is very important when you’re driving an RV. 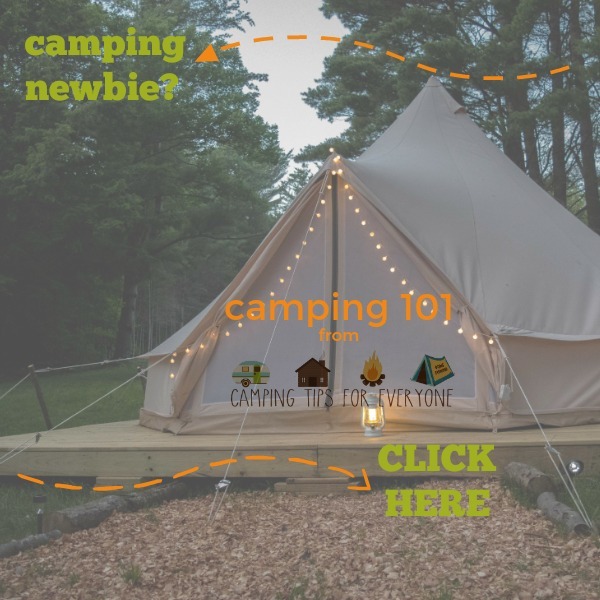 AllStays Camp & Tent lists over 21,000 searchable campgrounds in the U.S. and Canada, including public lands, national parks, and private campgrounds. There is also an AllStays app (iTunes) to help you find a dumpsite for those days after you’ve been boondocking and RV camping. Search over 40,000 RV Parks and Campgrounds categorized by private campgrounds, public parks, military parks, and more. The app also provides information on RV friendly stores and fuel stops. This app highlights public land owned by the US Federal Government that offers free or low-cost camping. Available for purchase on Google Play and iTunes. KOA has over 500 tent and RV camping campgrounds. Search by campgrounds near you, by amenities, or book a stay. 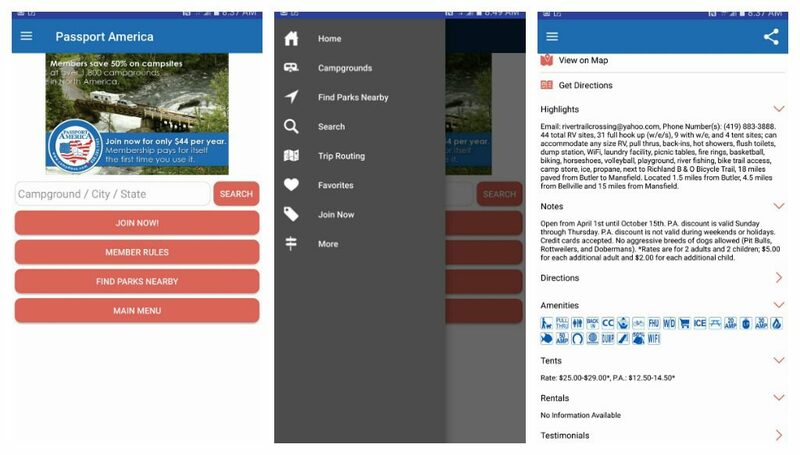 This app shares campgrounds that participate in the Passport America program where members save 50% off campground rates. This app uses the GPS on your phone to deliver a list of nearby caches with directions to help you find them. 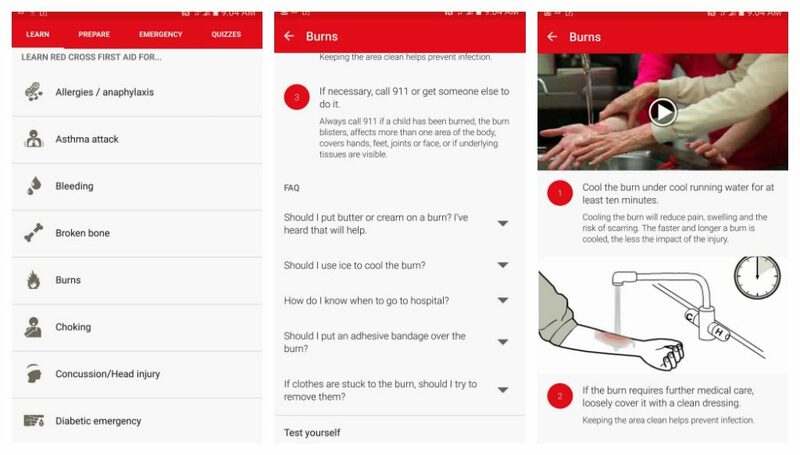 Created by the American Red Cross, this app provides basic first aid information on treating burns, sprains, and other emergencies with treatment information, videos, and diagrams. Enjoy viewing the night sky with the SkyView free app that allows users to use their smartphone and tablet to identify stars, planets, and constellations. Keep an eye on the daily and hourly forecast with Accuweather. Radar is also provided to track real-time weather. This nature app allows you to identify the plants and animals you find while camping. Capture a photo and record your observations or crowdsource the identity of a item directly from the app. Are your favorite camping apps on this list? What apps would you add? From a full-time RVer with her family of five to van camping enthusiast as she approaches life as an empty nester, Tonya Prater, enjoys road tripping across the U.S., enticing her husband to stop at every roadside attraction she can find. Tonya shares her love of family travel, whether it’s with her husband, grown children, or with her mom and dad at TravelInspiredLiving.com. Follow Travel Inspired Living on Twitter, Facebook, and Instagram.